An exciting opportunity has arisen to join our dynamic team within Gynaecology services. You will be part of a group of employees which comprises of doctors, nurses and clerical/administrative staff who provide a high standard of service to patients and relatives attending the department. The successful applicants will need to have experience dealing with the general public; they will have good IT skills and remain calm under pressure in this challenging role. A good telephone manner, confidence and a positive helpful manner is essential. Duties will include answering the telephone, filing, using the SEMA system and booking appointments. You will be required to be flexible within the contracted hours. You will also provide cover for annual leave and sickness. Full training will be provided for all candidates. 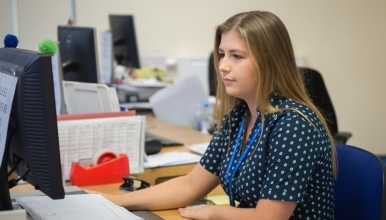 Gynaecology services is a fast paced environment requiring the ward clerk to meet demanding targets and must also be a pivotal member of the team. The successful applicant will find that this role is challenging, exciting and rewarding. We look forward to welcoming you to our team and wish you every success.